Have you made plans for Easter yet? 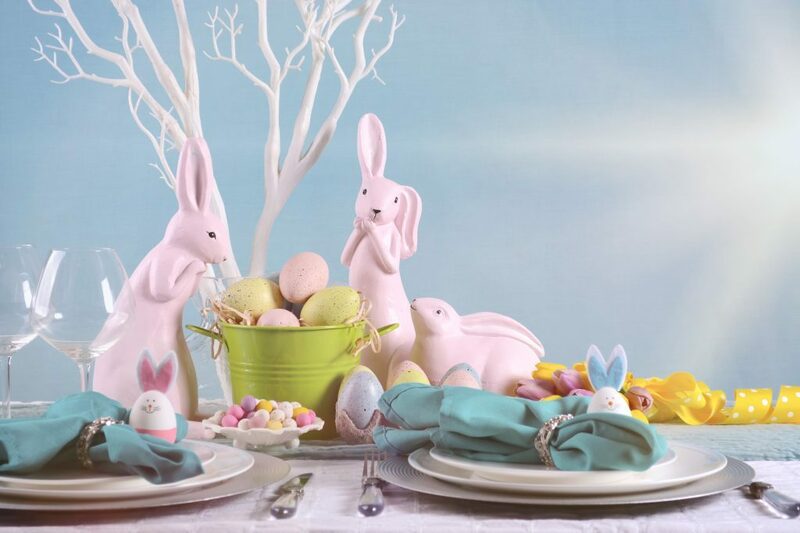 The Renaissance Dallas at Plano Legacy West hotel is offering you a fabulous opportunity to celebrate this special occasion with family, friends and a feast of fantastic food at their Easter Brunch on Sunday April 21. The menu includes: Breakfast with fruits, yogurt, specialty sausages, quiche, croissants and brioche French toast; an Omelet Station with options from roasted garlic and onion to mozzarella and asparagus; a Benedict Station including jalapeño sausage and tomato béarnaise; a Seafood Table with snow crab and spicy shrimp ceviche; Citrus and Dill Cured Gravalox; Texas Cheese and Charcuterie Station; a wide range of “garden fresh” salads; soups including lobster bisque and wild mushroom and rice; a Carving Station with Prime Rib and roasted leg of lamb; a Hot Buffet with salmon, orange glazed chicken and shrimp and orzo pasta. There’s even a kids menu and the dessert menu reads like a dream: chocolate caramel cream puffs, Cadbury brownies, coconut cream puffs, mini bundt cakes, easter cookies and more! See below for the full menu. 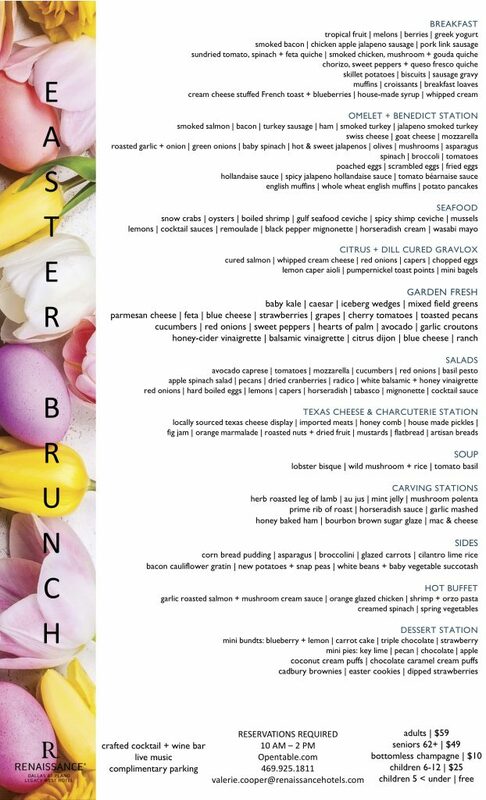 In addition to more food than an army of hungry Easter Bunnies could devour, the menu also features bottomless champagne, as well as a crafted cocktail and wine bar. And, the Easter Bunny will be in attendance. This extravagant Easter feast will be hosted within the Legacy Grand Ballroom, one of North Dallas’ largest luxury venues. 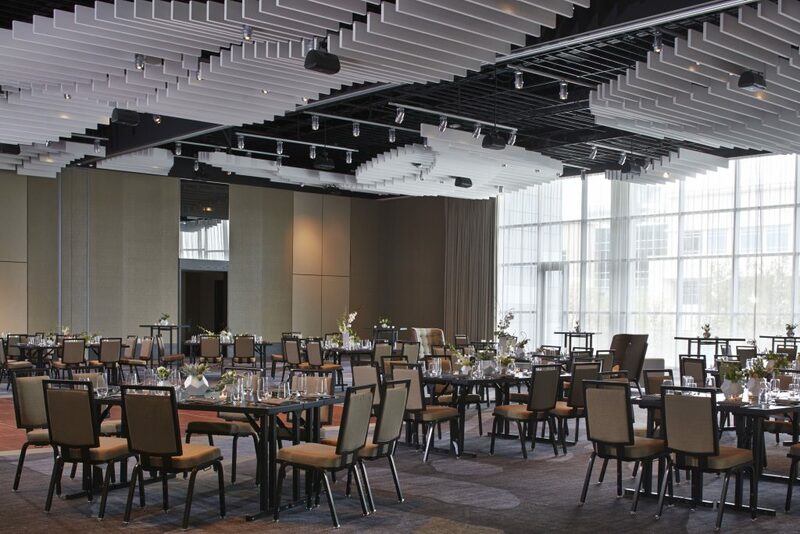 It boasts an impressive 14,983 square feet of space, including a one-of-a-kind glass wall, and can accommodate events of up to 1,584 guests.